- Hailed as the natural successors to ANGEL upon the release of the eponymously titled debut album in 1984, Los Angeles Hard Rock outfit WHITE SISTER even utilised the services of ex-ANGEL keyboard player Gregg Giuffria in the role of producer. The band was formed at the turn of the 80s by lead vocalist / keyboard player Garri Brandon and guitarist Rick Chadock, lead vocalist / bassist Dennis Churchill-Dries and drummer Gus Moratinos joined shortly thereafter to round out the first incarnation of the group. Only drummer Richard Wright, having replaced Moratinos in 1981, could claim any previous recording experience (a member of a couple of undisclosed 'Top 40' bands). Initially called SISTER, the group actually met Giuffria at a gas station one evening, and wound up working with the man in order to perfect the art of songwriting, leading to Giuffria producing WHITE SISTER's demos and, eventually, the first album. 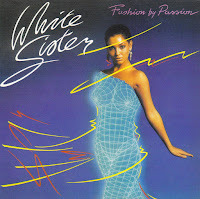 WHITE SISTER signed to EMI America through a deal with Enigma Records. Giuffria also played keyboards on a couple of tracks as well as co-writing the odd tune. Indeed, Giuffria gave the group a previously unheard ANGEL tune, 'Whips', co-written by Punky Meadows for the album and ex-SABU vocalist DAVID GLEN EISLEY (at the time working with Giuffria in the formation of what would become the GIUFFRIA band) also gained a co-writing credit on 'One More Night'. After the album was released, to a number of outrageously positive reviews, WHITE SISTER contributed the title track to the MGM movie 'April You're No Fool' (the movie was later released under the new title of 'Killer Party' ) before parting company with keyboard player / vocalist Garri Brandon. The keyboard player had shared lead vocals on the first record 50-50 with Dennis Churchill-Dries, but the feeling was that the latter had the strongest voice of the two and should sing lead on the whole of the next record. Brandon simply wanted to remain co-lead vocalist. The rest of the group refused to do this, leading to Brandon's exit. Brandon would work with JOHN PARR and MARILYN MARTIN prior to a short-term involvement with one of the first attempts to get ANGEL back off the ground in 1986. He was reported to have formed a group called RADIOUX CITY in early 1989. Although this latter group played shows in the Western US, no material was recorded. Unfortunately, WHITE SISTER was, to quote Dennis Churchill-Dries: 'dropped like a box of hot rocks' by EMI America. Nevertheless, the group continued to record new demos and much of the material would eventually wind up on the 'Fashion By Passion' album. Much of the keyboard work on this second record was performed by Joel Goldsmith, the son of movie scorer Gerry Goldsmith. The demos were cut with Gary Moseley. By the time the album was released in Europe on the Wolverhampton based independent FM Revolver label, Keyboard player San Franciscan native Dave Vincent had joined the group as a 'permanent' replacement for Garri Brandon. Previous to Vincent's recruitment, WHITE SISTER had briefly worked with Byron Scott of ROKWAY and erstwhile JOSHUA man Donny Gougeon. 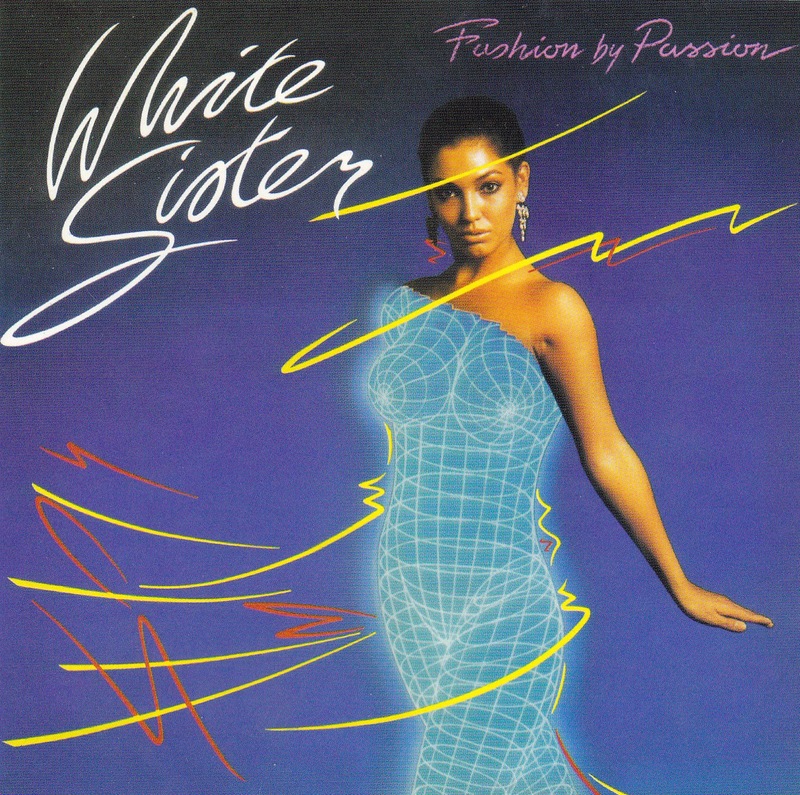 Buoyed by the enthusiasm given to the second album WHITE SISTER put in a successful British club tour during early 1987 opening for leading UK AORsters FM. Unfortunately, momentum was lost and the group dissolved. The group evolved into the more Blues oriented TATTOO RODEO, although the resulting 'Rode Hard, Put Away Wet' album for Atlantic featured a number of songs first premiered on demos under the WHITE SISTER handle. During 2000 Brandon founded FAST MACHINE whilst Wright teamed up with ex-KIX guitarist Brian Forsythe and erstwhile RHINO BUCKET members vocalist Georg Dolivo and bassist Reeve Downes to forge DEEP SIX HOLIDAY. This band managed one solitary gig, opening for L.A. GUNS, before folding. - White Sister were an American hard rock and AOR band formed in 1980. Their song "Save Me Tonight" appeared on the soundtrack album for the 1985 Columbia Pictures film, Fright Night. Their song "April" can be heard in the 1986 Metro-Goldwyn Mayer film, Killer Party. The band also performs in the movie. The band recorded the song "Touch the Sky" which can be heard in the 1986 film Thrashin' starring Josh Brolin. Their song "Dancin' on Midnight" appeared on the soundtrack album for the 1989 Magnum Pictures film Halloween 5: The Revenge of Michael Myers. Their song "Fashion by Passion" appeared on the soundtrack album for Touchstone Pictures film Stella starring Bette Midler. White Sister was formed in Burbank, California by lead vocalist/bassist Dennis Churchill-Dries, guitarist Rick Chadock, lead vocalist/keyboardist, Gary Brandon and drummer Gus Moratinos. The group played their first gig at The Ice House in Pasadena, California and worked their way up; eventually headlining shows at The Troubadour, West Hollywood, Whiskey A Go Go, Roxy Theatre, and other prominent clubs in Hollywood, California. 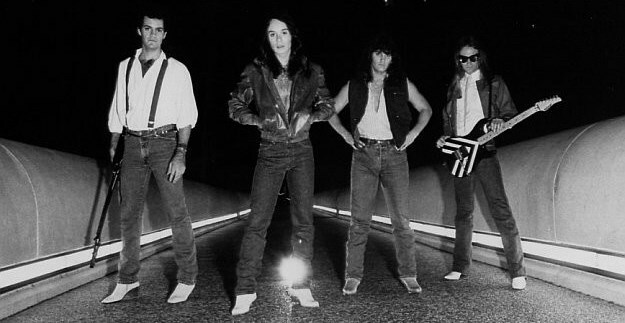 Original drummer Gus Moratinos left amicably in 1981 citing musical differences, and was replaced by Richard Wright to round out the second incarnation of the band. 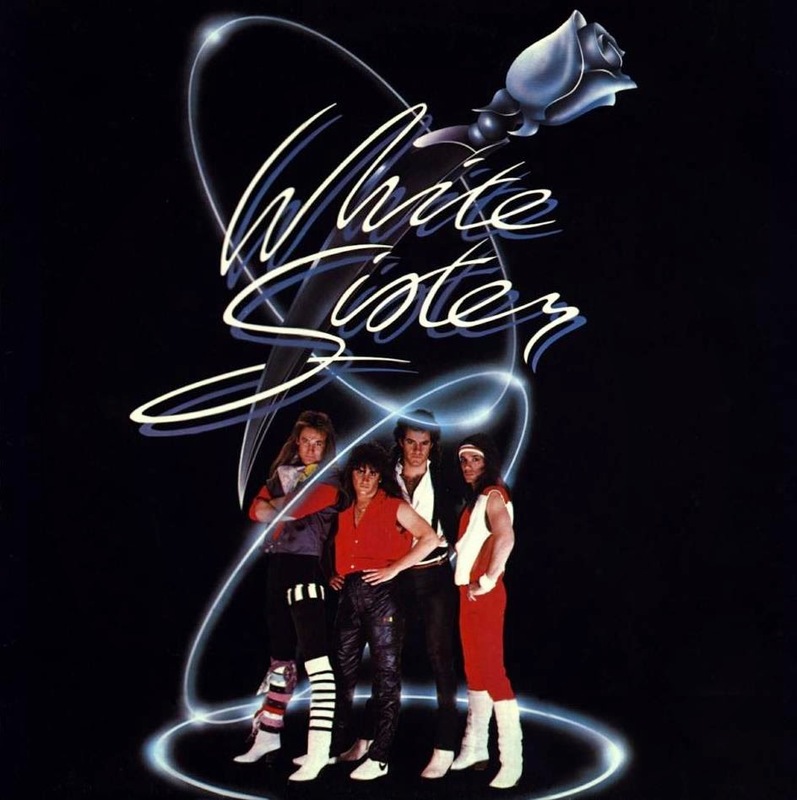 White Sister met Gregg Giuffria from the band Angel at a gas station one evening, and wound up working with him to assist with song writing, leading Giuffria to produce White Sister demos and eventually, their debut album, released in 1984, on EMI America Records. Shortly after the release of the album, the band approached EMI to secure tour support money. They believed that their powerful live show would aid greatly in boosting sales, but unfortunately, the label was not willing to fund a tour for the band. Additional friction was caused when the label requested that the band change its name, since another national band also had the word "sister" in their name (Twisted Sister). After a band vote, the members decided they would not change their name, citing the fact that more than one other national band had the word "white" in their name, and those bands were being marketed successfully by their labels. EMI relented and the self-titled album was not re-packaged. Brandon parted ways with the band before they released their second album entitled Fashion by Passion on the FM Revolver label. Brandon went on to do multiple TV appearances, and tour, with British pop sensation John Parr, while the remaining band members patched the lineup and eventually traveled overseas to the U.K. themselves, where their reception was a bit warmer than in the United States. They toured with the band FM and established a cult following in the process. Churchill-Dries, Chadock and Wright would eventually let go of White Sister and go on to form another group, Tattoo Rodeo, which was signed to Atlantic Records. After suffering health complications, Richard Wright died on June 14, 2006, at the age of 44. In 2008, Brandon rejoined Churchill-Dries and Chadock, as the 3 original members were invited to the UK to play the Firefest rock festival. A full-length concert DVD of their 2008 Nottingham performance was filmed and released in 2009. The DVDs sold out in short order. The band was invited back by the festival organizers in 2009 for an encore performance, but this, possibly their final White Sister show, was not filmed professionally. On October 15, 2012, Rick Chadock lost his battle with cancer. Churchill Dries recently completed his first solo album (entitled "I"), which was released May 15th 2015. 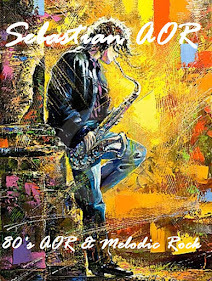 - The beginning of the 1980's not only saw the continued rise of Heavy Metal and the NWOBHM movement in Britain, but also the L.A. Sunset Strip Music scene and the Glam Metal movement. Coming out of the same scene as bands like Mötley Crüe and Poison, Glam Metal became a worldwide phenomenon and bands were quickly gaining the attention of the majors, White Sister were no different. Formed in the 1980's, the Glam Metal band released two studio albums and many of their song's would appear on a number of blockbuster films.